X: 绮幻之境 (The Land of Fantasy) is an epic and thrilling quest to reunite two ancient kingdoms, Petra (an underground world in the west) and Aria (an aerial palace in the east), torn asunder centuries ago. Harmony disrupted by a broken seal depicting a ‘yin-yang’ crest of a Dragon and Phoenix. The captivating legend is guided by The Watcher, a wise elder whose mechanical box unleashes the story. One that begins with two innocent infants, each left on the doorstep of the opposing kingdom’s palace. They both grow to emerge as the hero and heroine who challenge dangers and fight seemingly invincible forces, in the name of good for all. Inspired by a rich storyline, multi-dimensional characters, and surreal universes, X: 绮幻之境 (The Land of Fantasy) is an incredible immersive experience. 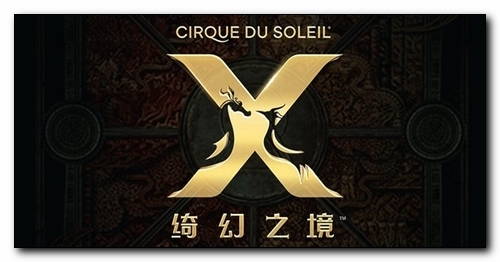 Driven by high-energy action and acrobatics, rich symbolism, beautiful poetry and artistry. Two sides of one story, two cultures discovering each other. No detail is spared to immerse deeper inside the story and create a surge of adventure for the whole family, each scene more powerful than the next. Built to host nearly 1,500 spectators, the show theatre is divided in two sets of intimate revolving bleachers, placing the audience at the very center of the story and allowing two viewing experiences. This unique 360-degree perspective opens a new world of creative possibilities to tell the story and provides a truly captivating experience for the spectators who follow the action from their seats. The theater also features a massive 100m-wide mainstage, divided in panels individually controlled to create any configuration imaginable, allowing the setting to shape-shift as the story unfolds. A combination of 3D props, video mapping, and trap doors from which acrobats seem to ‘disappear’ inside landscapes and return when you least expect it, will allow for artists to perform gravity-defying acrobatic acts; all of which are designed to disorient the senses.